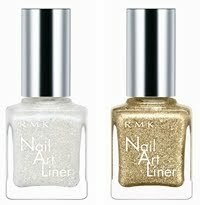 Due out on May 7th in Japan, RMK's summer 2010 "Gorgeous Rich & Cool Gorgeous" themed collection focuses on the brilliant shine and shimmer of silver and gold. 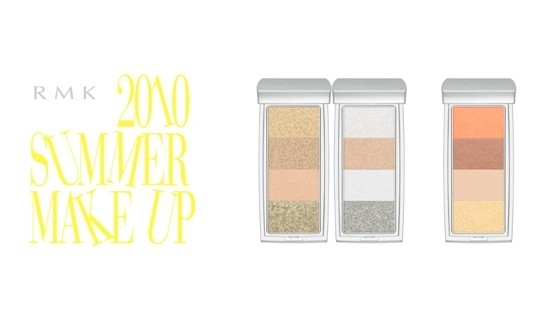 The star items are Mix Colors for Eyes palettes and Mix Colors for Cheeks palette. 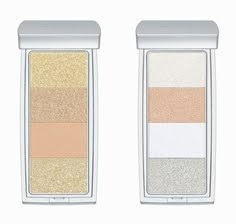 Mix Colors for Eyes features four sheer eyeshadows in different finishes from sheen, satiny, pearl to sparkle, and will be available in silver and gold variations. 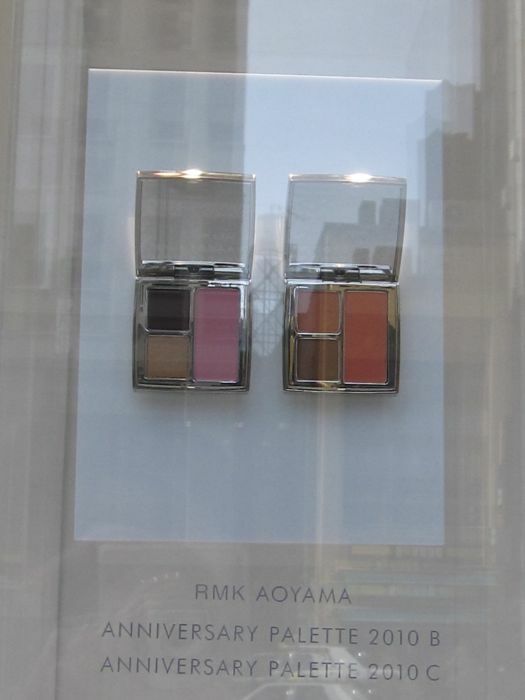 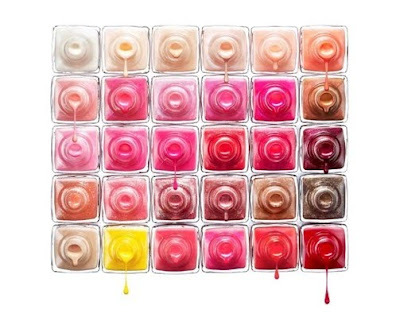 Mix Colors for Cheeks features four shades in beige brown and coral orange tones.